Today, July 25th, 2018, Free Speech For People and United for a Fair Economy co-released the report Blackout in Puerto Rico: How 120 years of corporate dominance and political inequality stifles self-determination today. This report discusses the history of political inequality and corporate dominance in Puerto Rico, and also analyzes how the current systems of money in politics affect Puerto Rico’s financial crisis and hurricane recovery efforts. This report acknowledges other systems of oppression — in this case, the creation and continuation of political inequality, white supremacy, and colonization — and discusses how money in politics is a tool used to perpetuate this inequality. This report was created by Free Speech For People in an effort to build an intersectional movement to pass a constitutional amendment that would eliminate corporate personhood and unlimited money in politics. The case of Puerto Rico vividly demonstrates how unchecked corporate money and power can strangle democratic politics. Of course, for Puerto Rico, these necessary reforms are only part of a solution. 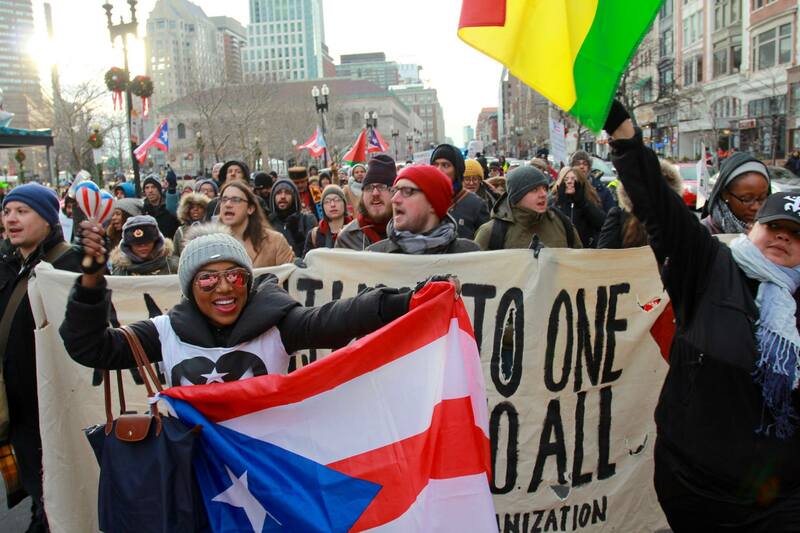 To promote true political, economic, and racial equality for Puerto Rican people, and all people marginalized by systems of oppression, we must build an intersectional and authentic solidarity movement. Authentic solidarity requires working together to dismantle all systems that sustain oppression. To do that, we must first acknowledge and provide education around all systems of oppression. To learn more about what intersectionality is and how to build an intersectional movement visit our webpage at www.freepseechforpeople.org/intersectionality. For activists looking to find ways to discuss this report and create events around this report, please visit our webpages at https://freespeechforpeople.org/Puerto-Rico and https://freespeechforpeople.org/centering-marginalized-communities/.